Northside offers a versatile range of shelving solutions to meet every storage requirements across an office, home study, warehouse, coolroom or a garage. A wide variety of options offers flexibility in bay height, width and length. 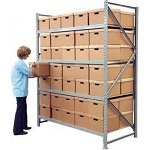 Our storage shelves and steel shelving systems come with various load bearing capacities which helps our customers to choose the best fit for their needs rather than a near fit. 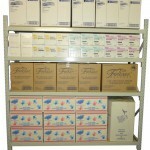 True to our values, we do not compromise on the quality of the storage racks and shelves we offer. Our shelves are made of steel and powdercoated, HDF, MDF, particle board or wire mesh as per the storage requirements.They are made with the correct thickness to match the load and the application. Our storage systems come with years of warranty against defects for peace of mind from a business which has been offering the same quality and value since 1990. Versatile shelving with height, depth and length options. 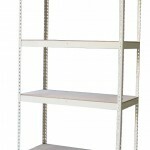 Industrial shelving for hand pick stock, garage storage and non palletized storage. Up to 720KG per level. Suitable for cool rooms. 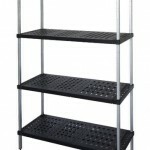 Available in ABS and wire shelves and Zinc, galvanized and stainless steel. Coolroom storage optimization accessories available. Best suited for storage of archive boxes, in a garage, document storage, parts storage and handpick stocks of loads less than 450KG per level. Longspan or boltless solutions with various length, depth, heights and load options. Best shelving solutions to organize a garage. Australian made and imported range of gondola shop units to display a wide variety of merchandise for all types of retail outlets. Most versatile storage solution.Office, home, warehouse or garage use. Store parts, documents, files, clothes, books and more. 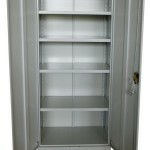 Northside can also supply metal lockers, metal shelves of different sizes and custom shelves to suit requirements. We stock our own brand of spacewise steel cupboards, lateral filing cabinets and filing cabinets as well as authorized distributors of all reputable Australian brands of metal storage systems. Call us on (02) 9482 4288 and we are more than happy to assist.